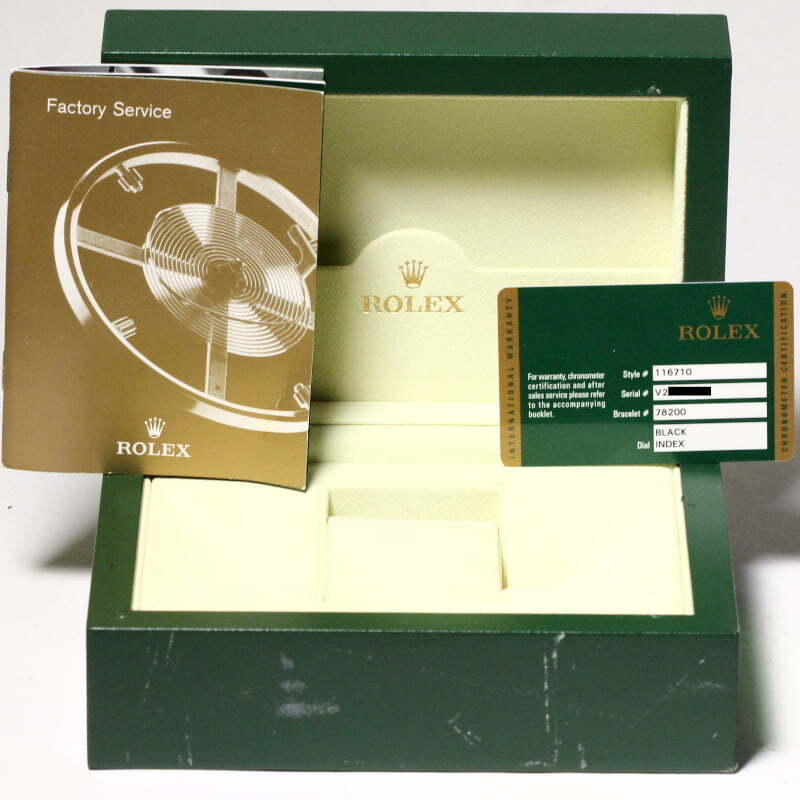 Comments: This pre-owned Rolex GMT comes w/ Bob's 3-day satisfaction guarantee and one year warranty. Temporary master photo. All side views are of original watch and magnify 10x. Introduced at Baselworld 2005, the 6-digit GMT Master II reference 116710 offers a long list of upgraded features. 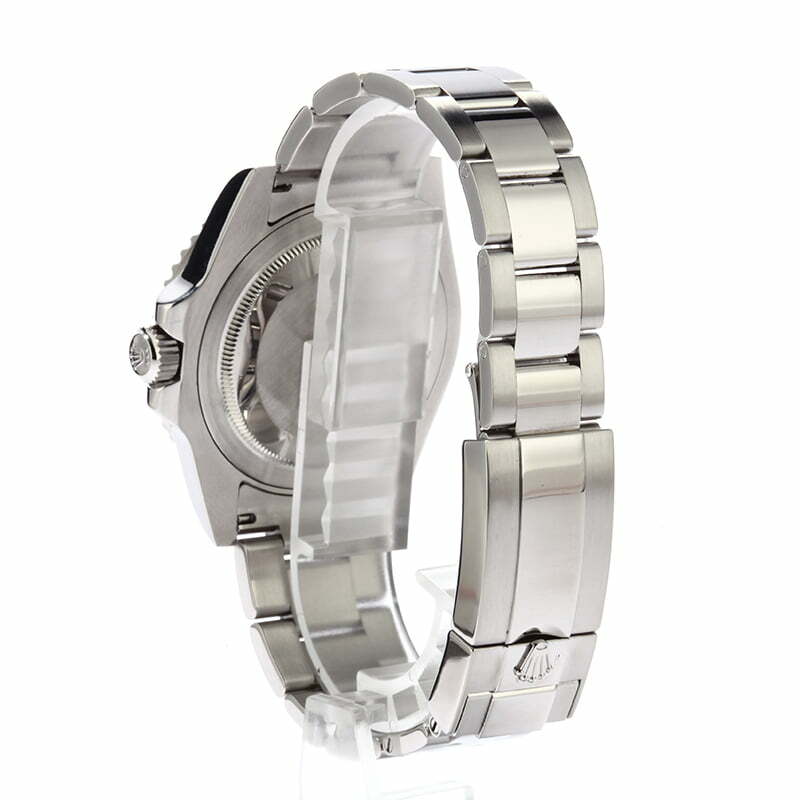 The 40mm Oyster case is reinforced with highly resilient 904L stainless steel, a screw-down case back, a scratch-resistant sapphire crystal, and a Triplock screw-down crown. An anti-reflective magnifying Cyclops lens rests over the date aperture for optimal legibility. This newer sports watch also utilizes a black maxi dial set with larger luminous hour markers and wider hands. 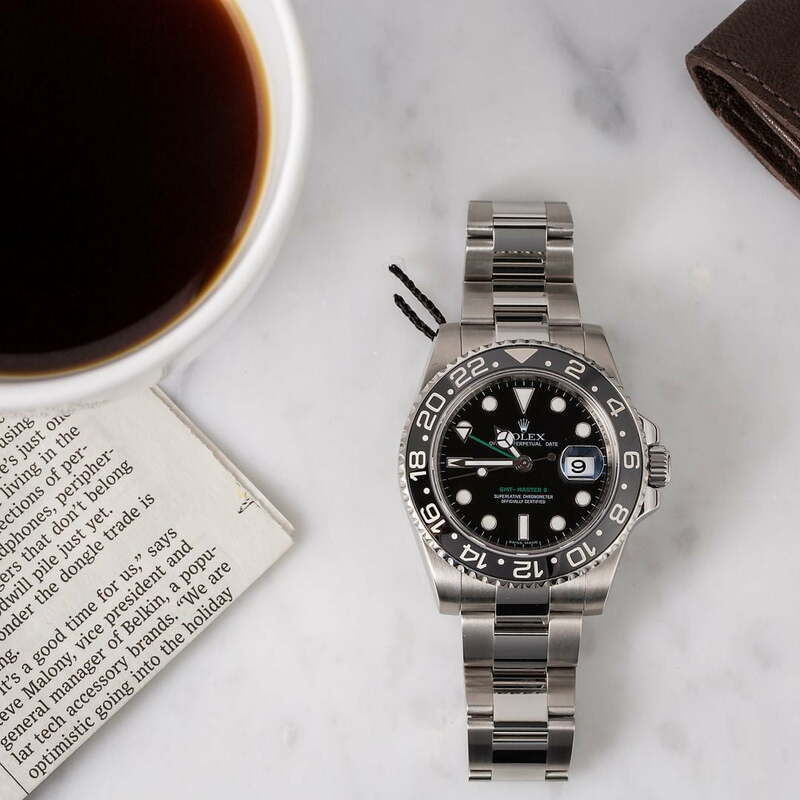 A black Cerachrom ceramic bezel with 24-hour graduations and a coordinating green GMT hand allows the wearer to track up to three time zones simultaneously, a highly desirable feature for avid travelers. Even the Oyster bracelet has been redesigned and showcases a striking blend of satin and high-polish links and a folding Oysterlock clasp. I want to commend Bob’s watches and the great job that Paul and his team do. 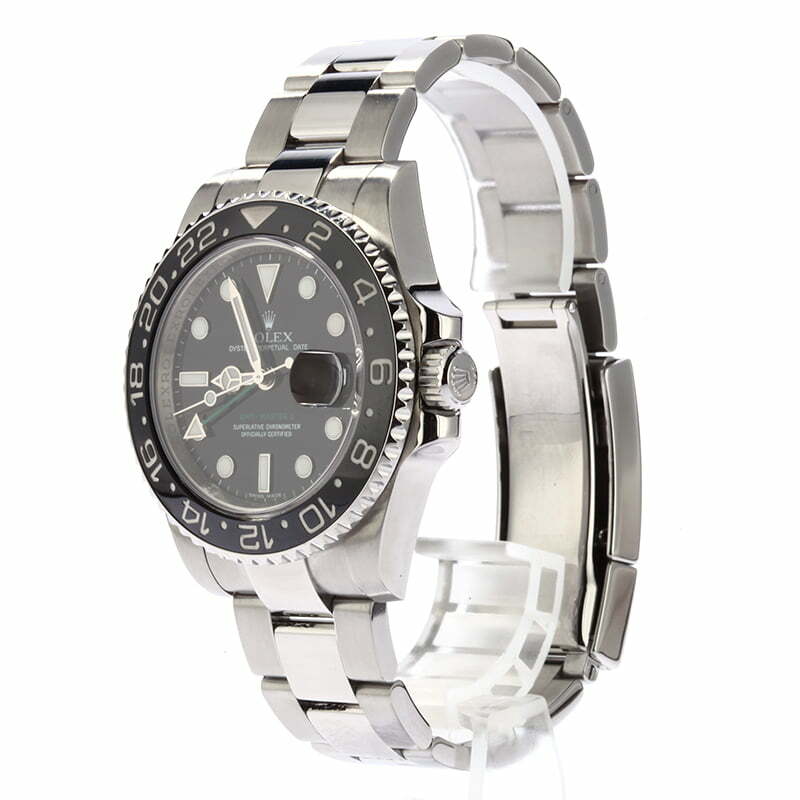 My GMT-Master is the second pre-owned (with sticker) watch that I’ve purchased from Bob’s via the website. Both watches have arrived within 48 hours in new condition. I would highly recommend Bob’s if you are shopping for a luxury watch and don’t have time to visit, or accesss to, brick and mortar retailers. They are awesome. - Like new product including box & papers which was exactly what I wanted - Delivery time, less than 24 hours - Bob's has a great reputation and I was working to trust in the reputation. I find trust difficult during initial transactions especially expensive initial transactions. - Zero percent financing - Internet competitive price - Insight where my watch was at each step e.g. it toggled to sold quickly, status emails, tracking, priority shipping emails and texts. Excellent quick delivery. Watch beautiful and even better than described. Transaction couldn’t have been better. AMAZING service, perfect watch, fair price, fast shipping. Super satisfied! 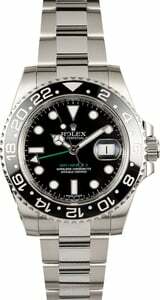 I am a repeat customer who has found Bob's Watches to have an excellent selection of pre-owned Rolex watches at very competitive pricing. The watch is beautiful and the buying experience was quite easy. Fast shipping and safe packaging too! 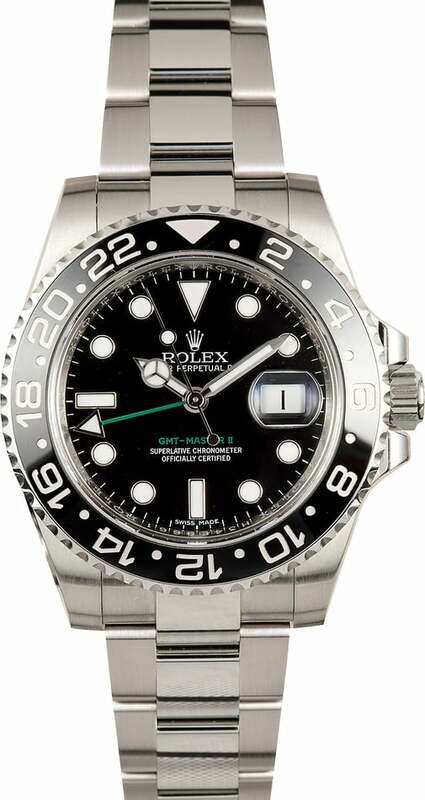 The ceramic bezel and high polish center links make this watch for me. The GMT's ability to track 3 times zones is also a big plus. I love my new watch! This is the second Rolex watch that I’ve ordered and both showed up as promised and are in better condition then I assumed that they would be. I’m a very happy customer and would recommend Bob’s to anyone. Great watch in great condition. Liked the fact that Bob's put their own instructions in the box - nice touch!